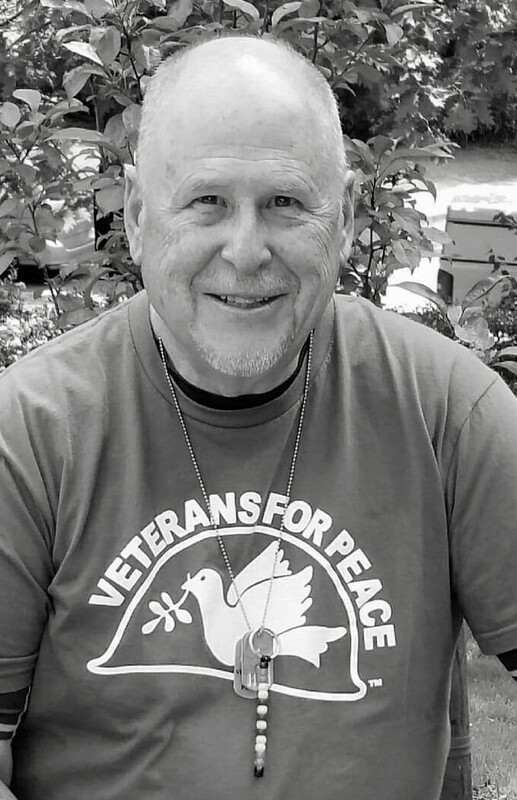 Dan Shea joined Veterans for Peace after he returned from the Vietnam War feeling like he had invaded a country that wanted its independence. Earlier this month, Shea returned from a weeklong mission to Venezuela organized by the U.S. Peace Council, a nonprofit member of the World Peace Council, non-governmental organization affiliated with the United Nations. On Feb. 28, Sen. Jeff Merkley (D-Ore.) introduced a resolution that would ban military action in Venezuela without the approval of Congress; a sister resolution in the House of Representatives has 56 co-sponsors, including Oregon Reps. Blumenauer, Bonamici, and DeFazio. Shea was scheduled to speak about his trip March 30 at the Sunnyside Community House, 3520 SE Yamhill St.
Shea sat down with Street Roots to explain what happened when he met President Maduro and why Veterans for Peace is currently focused on Venezuela. Stephen Quirke: Why did you travel to Venezuela? Dan Shea: I was invited by the U.S. Peace Council to be part of this delegation. Gerry Condin, president of Veterans for Peace, invited me to be a part of it, and when he made that offer I immediately jumped on it. Our participation as a U.S. team is very important, because it’s our country that’s threatening that country’s independence. I had been to Venezuela in 2006 for the World Social Forum. I was very active in the sanctuary movement during the 1980s when we had U.S. interventions and death squads in Central America. Central America and Latin America have been a very deep concern for me. My father was born in Panama. My grandmother was Panamanian of Indigenous extraction. That has always been a part of my interest, both family and trying to understand the politics of what’s going on in Latin America. You really see the colonialism over many, many years of the U.S. and Europe and everybody else claiming their part of the resource of those areas, and stealing it from the Indigenous peoples there. Quirke: Is there a lot of concern in Venezuela about a U.S. invasion? Shea: I think there is. They didn’t talk about it too much. For me it seemed like more of a tension. People went about their daily life pretending things are going to be all right, because what else can you do? But you can feel it. I know I can feel it in the air. Of course the people we were with would talk about it – they had fears about it. But the average person didn’t talk about it right off the bat. People would come up to us and just say, “We’re really glad that you’re here. Tell people that we’re doing well, under the circumstances, and that all they’re hearing in the media is a lie. All we want is peace.” There were a lot of people who would come up and tell us that. They would seek us out. People would recognize us on the street because they’d seen us in the media. Quirke: What is Veterans for Peace’s position on Venezuela? Shea: We would like to get the opposition and the Venezuelan government to sit down and have talks. The only way we’re going to stop these feuds is to talk about what’s the best benefit for all parties involved. If soldiers go to war in Venezuela they will kill innocent people. And those soldiers will be haunted the rest of their life. And we try to reach those soldiers. Veterans for Peace put a call out to all soldiers to refuse to fight in Venezuela – to object and become G.I. resisters. These veterans have realized not just the trauma we’ve seen in death and destruction, but also the moral injury – the moral injury of being lied to by our nation, to go to war and kill other people, to become killers, when it’s against our very nature to want to kill another human being. And that is what the U.S. is telling the people of America – you have to support us in taking over another country, even if that means killing men, women and children in another country. Quirke: How extensive is the opposition in Venezuela? How did it compare to support for Maduro? Shea: You can’t deny there’s an opposition. They had a large body that was in opposition. But the support for the government is much higher. Their oppositional parties are waning, while I was there they were splitting. Quirke: How did you meet President Maduro? Quirke: I’ve read that this has become a trend - Brazil, Peru, Columbia and Ecuador all have their own self-declared presidents, and the one in Brazil has even challenged Guaidó to a debate. Shea: Trump and the administration recognized him as the president and give him this formal recognition that legalizes his position, as they recognized the coup in Honduras – which stuck. They were trying to make it stick here, but it didn’t happen. Quirke: There are now House and Senate resolutions to oppose U.S. military action in Venezuela, but it appears that covert action may already be underway. What can be done about this? Shea: I was very proud about that resolution, and Merkley has been very good about this. I think it would be good if the Progressive Caucus within the Democratic Party actually sent their own delegation to Venezuela. That might be an opportunity. They could also invite the people that hosted us, COSI, which is the Committee for International Solidarity for Peace in Venezuela, to testify before Congress. They’re very knowledgeable. Quirke: At the March 16 Hands Off Venezuela march in Portland, there were several signs saying “no war for oil.” Do people in Venezuela believe that’s what the U.S. government wants? Shea: Oh, they very well know it. I mean, oil is the curse. It’s the curse of any nation that has oil – and we want it. There were people that were yelling “No blood for oil.” It’s sad. It angers me. Because we went in to Iraq for a similar thing. I remember I made a painting saying “no blood for oil,” and here I am again, many years later, still doing it. ... It’s a war on the economy, with sanctions, with the depression, the inflation of the dollar, freezing their bank accounts from oil sales, and holding that hostage against them, saying Maduro has to resign. This is the money they pay for their imports – it’s their money. It’s not Maduro’s money, it’s not the U.S.’s money, it’s the people’s money. It’s how they pay their debts and bring food and medicine to the country. Billions of dollars in needed pharmaceutical medicines are not reaching Venezuela. Quirke: Is it common knowledge there that the U.S. government is promoting the opposition, and pushing for regime change? Shea: They’re very aware. The people know what’s going on, and they know the threat of the U.S. and the plots to take over. The sad thing is there’s percentage of the opposition that applaud that – they want the U.S. to invade. I mean that’s what Guaidó asked them – to invade. People know what’s going on. Quirke: What are you asking people to do? Shea: We need to stop the war machine. We need a new, growing anti-war and peace movement in this country. People need to get off their asses and get into the streets, and put that pressure upon your congressmen and representatives to make it happen. But you have to have demands.